Locations throughout Fairfield County, including Trumbull, Shelton, Fairfield, Stratford and Westport. With 17 Orthopedic and Sports Medicine providers, there is no need to travel far from home to get excellent orthopedic and musculoskeletal care. Whether you are an elite athlete or just the weekend warrior, a muscle, tendon or ligament injury can limit your ability to perform at your peak level. Even a sprain or strain can affect your performance. At OSM we offer a comprehensive Sports Medicine program to accommodate just about anyone’s injuries. Whether it is a torn ACL in a football game or a shoulder injury from hitting the gym too hard, or a joint dislocation, OSM will provide the most advanced treatment with Connecticut’s most highly skilled Orthopedic and Sports Medicine Specialists. For those suffering chronic shoulder, elbow or wrist pain due to injury or arthritis, the comprehensive Upper Extremity Specialists at OSM utilizes the expertise of Board Certified Orthopedic Surgeons and Sports Medicine Specialists to treat shoulder and elbow and wrist conditions. Our patient centered approach ensures that each patient’s care plan is based on their lifestyle, activities, and goals. Our team will collaborate to explore all treatment options including non-surgical treatment, minimally invasive and Arthroscopic surgical treatment or physical therapy. 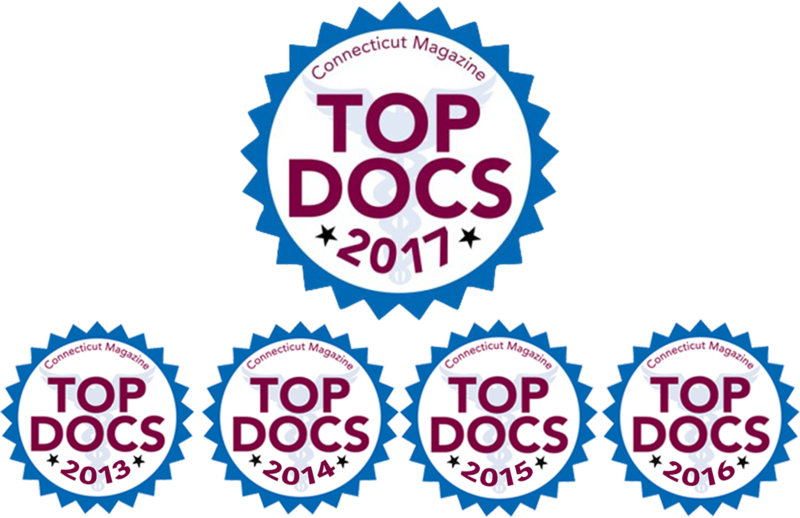 If surgery is recommended, OSM offers the most advanced minimally invasive surgical treatment options anywhere in Connecticut. For those suffering chronic back or neck pain due to a spinal condition, the comprehensive Spine Specialists at OSM utilizes the expertise of Physiatrists and Board Certified Orthopedic Spine Surgeons to treat spinal conditions. Our patient centered approach ensures that each patient’s care plan is based on their lifestyle, activities, and goals. Our team will collaborate to explore all treatments options including non-surgical treatment, Minimally Invasive Surgical Treatment, Chiropractic Care or Physical Therapy. If surgery is recommended, OSM offers the most advanced minimally invasive surgical treatment options anywhere in Connecticut. For those suffering chronic knee or hip pain due to injury or arthritis, the comprehensive Knee and Hip Specialists at OSM utilizes the expertise of Board Certified Orthopedic Surgeons and Sports Medicine Specialists to treat knee and hip conditions. Our patient centered approach ensures that each patient’s care plan is based on their lifestyle, activities, and goals. Our team will collaborate to explore all treatment options including non-surgical treatment, Minimally Invasive and Arthroscopic Surgical Treatment, Joint Replacement Surgery or Physical Therapy. If surgery is recommended, OSM offers the most advanced Minimally Invasive surgical treatment options anywhere in Connecticut. For those suffering chronic foot or ankle pain due to injury or arthritis, the comprehensive Foot and Ankle Specialists at OSM utilizes the expertise of Board Certified Orthopedic Surgeons and Sports Medicine Specialists to treat Foot and Ankle conditions. Our patient centered approach ensures that each patient’s care plan is based on their lifestyle, activities, and goals. Our team will collaborate to explore all treatment options including non-surgical treatment, Minimally Invasive, and Arthroscopic Surgery or physical therapy. If surgery is recommended, OSM offers the most advanced Minimally Invasive surgical treatment options anywhere in Connecticut. Tell Us Your Injury! Send Message Now! Dr Redler is a very capable and compassionate Doctor. Dr Redler has performed three surgeries on me with fantastic results. In the Orthopedic field I would recommend unconditionally. Even though I was not the most compliant patient, Dr Redler treated my quirks with good humor and professionalism. Really, a very good doctor. Awesome orthopaedic surgeon. Very compassionate and full of facts as well as expectations. Great bedside manner. Follow up appointments have been informational and all of my questions answered. I can’t say enough about Dr. Girasole. He was tremendous!!! Dr. David has successfully treated several family members. He is a fantastic doctor. Each family member had a complete recovery – ahead of schedule. I highly recommend him.